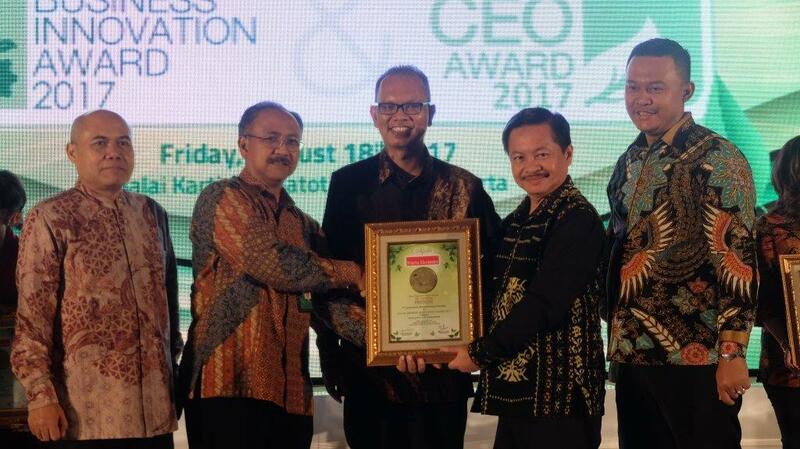 Jakarta - Warta Ekonomi once again held the Social Business Innovation & Green CEO Award 2017 for the seventh time in Balai Kartini, Jakarta. The Social Business Innovation Award is a form of appreciation for companies that have successfully implemented social innovations as an effort to outcome social and environmental issues toward sustainable business activities. Appreciation to companies that succeed in implementing social innovations becomes a step to encourage industry growth and support companies in carrying out social responsibility. To be a sustainable company is not easy, it takes a variety of efforts, commitment, hard work, and the synergy of company internally and externally. PT Toyota Motor Manufacturing Indonesia (TMMIN) once again awarded Social Services Innovation 2017 in the Automoive & Components category and received directly by Adjie Sapta as Division Head of CSRO TMMIN. This award is given to TMMIN for the success of TMMIN in improving not only in the business aspect but also effort to improve social environment and natural environment. With this award TMMIN is expected to be more advanced and innovate in harmony with the principles of sustainability so as to have a positive impact for the company, society, and the environment.